Crete or Rhodes: Which Greek Island is Right for Your Island Getaway? Crete and Rhodes are two of the most popular Greek islands to visit, and I’d love to suggest you do some Greek island hopping and visit both. However, if you’re looking for a quick island getaway and only have four days or less, then it doesn’t make sense to split your time, and you’ll inevitably have to pick one. 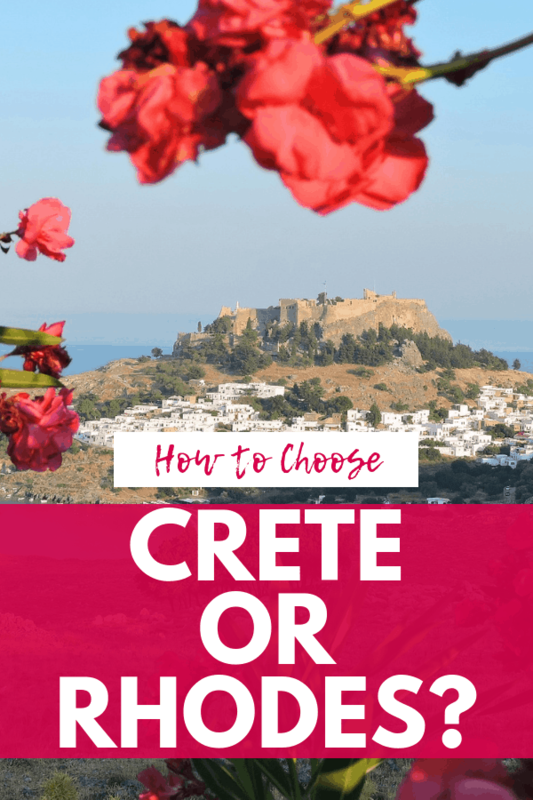 So if you’re looking to choose whether to travel to Crete or Rhodes, here are the important points to consider while making your decision. If this is your first trip to Greece, read our Greece Trip Planning Checklist. Is there anything quite as delightfully nautical as appreciating a beautiful lighthouse? 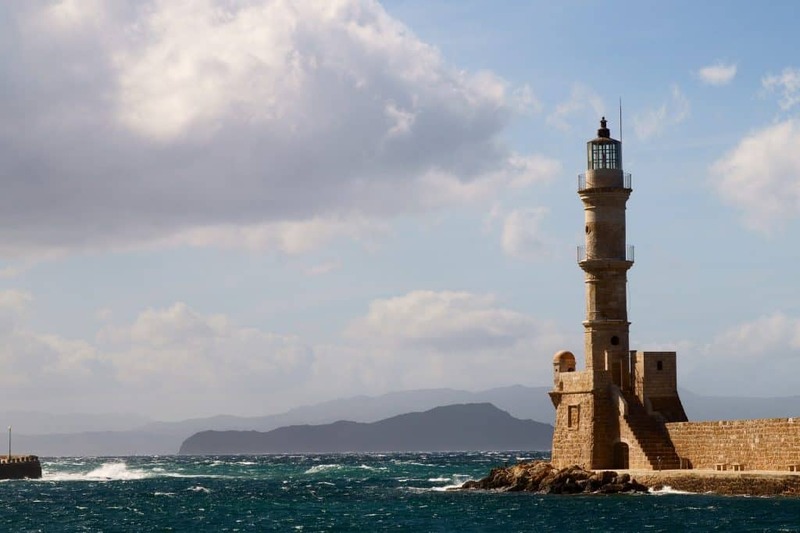 Crete has more than its fair share with a dozen, but my favorites are the two lovely Egyptian lighthouses in Chania and Rethymnon. These beauties make for some of the most romantic spots on the island. Rethymnon’s lighthouse is located in the Old Wharf. It’s especially stunning in the evening Golden Hour and at sunset. It’s one of my favorite photography spots in Rethymnon. Chania’s lighthouse is built on a foundation from the previous Venetian lighthouse. It was damaged during the bombings in World War II, but it has been restored and now sits as a proud landmark of the island’s resilience. I had already spent a month in Greece before setting foot on Crete, so I thought I was well-versed in Greek cuisine. However, Cretan dishes took me completely by surprise. It’s akin to Greek food, with many overlapping dishes, but the cuisine developed independently and has many dishes that are unique to the island. 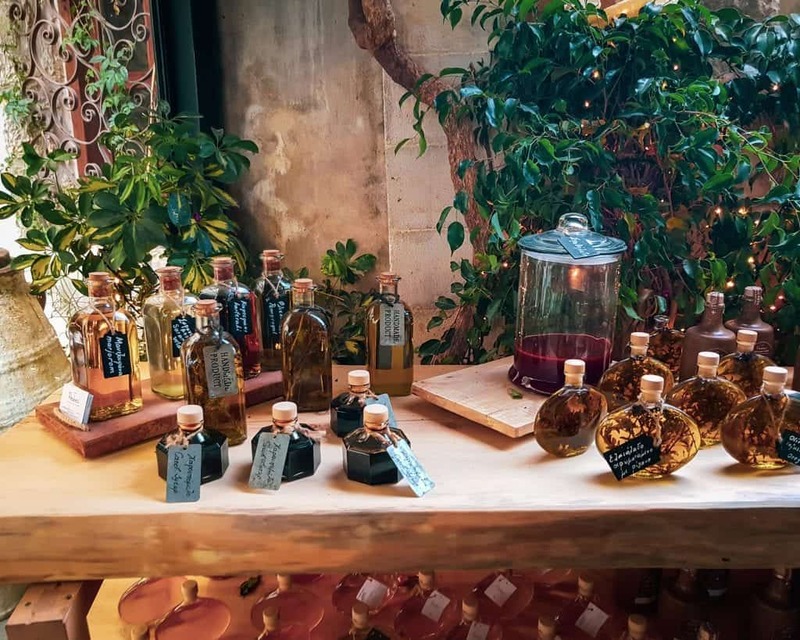 What the Cretans can do with just beans and olive oil is truly stunning! You’ll find amazing Cretan food all over the island, but I have to say that I’ve had some of my favorite dishes anywhere in the world in the restaurants of Heraklion. In fact, I found Cretan food so delicious and surprising that I bought a cookbook so I could practice making some of them back home. 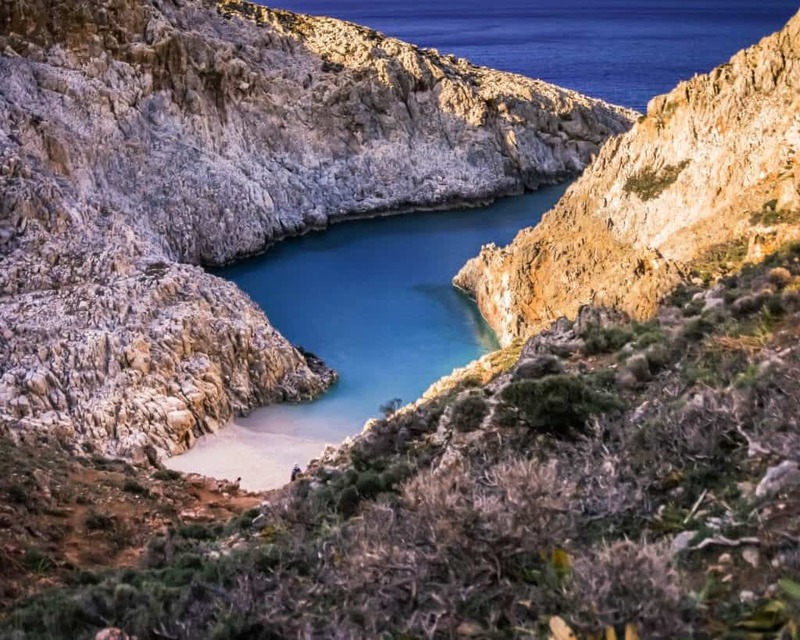 Crete has many gorgeous beaches (here are our favorite beaches in Crete just to start), but some of its most beautiful ones aren’t that well-known outside of Greece. Further, some of the best ones are hard to get to, since you can’t easily reach them by public transit and, even when you do get there, you’ll have to make a steep descent down to get to them. This keeps the crowds at bay. 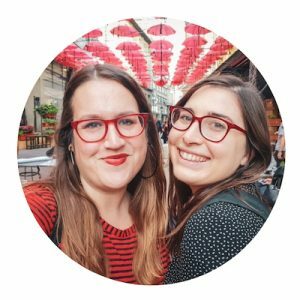 Our favorite beach in Crete is Seitan Limania, which was so beautiful we couldn’t believe we hadn’t seen it a million times on Instagram before we got there. But, honestly, we hadn’t even heard of it before arriving in Chania. Crete is bursting with so much beauty that a beach like this doesn’t even make everyone’s list of top things to do here. Crete is the largest Greek island and the fifth largest island in the Mediterranean. As such, there is so much to see and do here that you can easily get lost (the good kind of lost) and discover some of the island for yourself. A popular way to travel the island is to rent a car and go on a Cretan road trip. This will allow you to see some of the smaller mountain villages and hidden tavernas that get missed by the folks who only go to the resort towns. 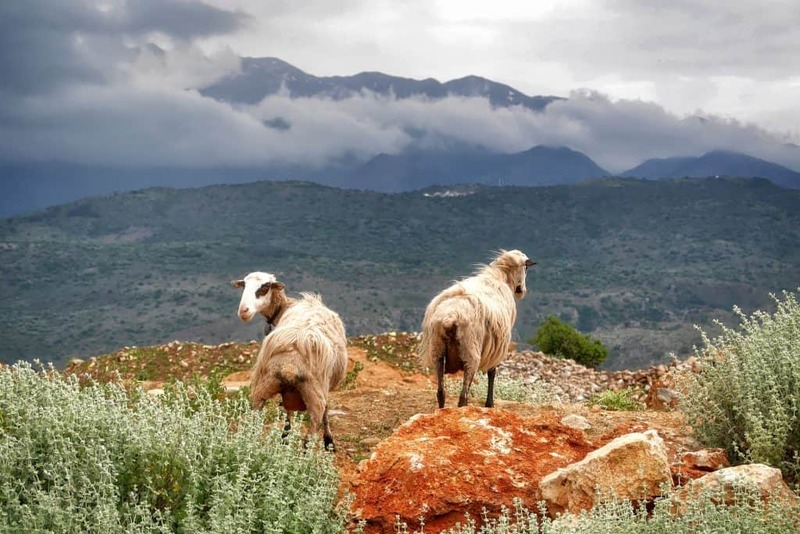 Nature enthusiasts will love the gorgeous hiking opportunities on Crete as well. If you get outside of Chania and Heraklion, there’s so much more of Crete to explore. You can spend a charming day or two exploring the sites in the old city, walking inside the city walls and inside the ruins of the old churches. You can even stay in the old city, since there are several hotels inside the walls, including both budget and luxury options. When one thinks of a Greek island vacation, on invariably thinks of whitewashed houses perched on the hills above the shores, shining in the bright summer sunlight. These houses look beautiful from afar, but they’re also wonderful to walk amongst, getting lost on curving hillside streets. 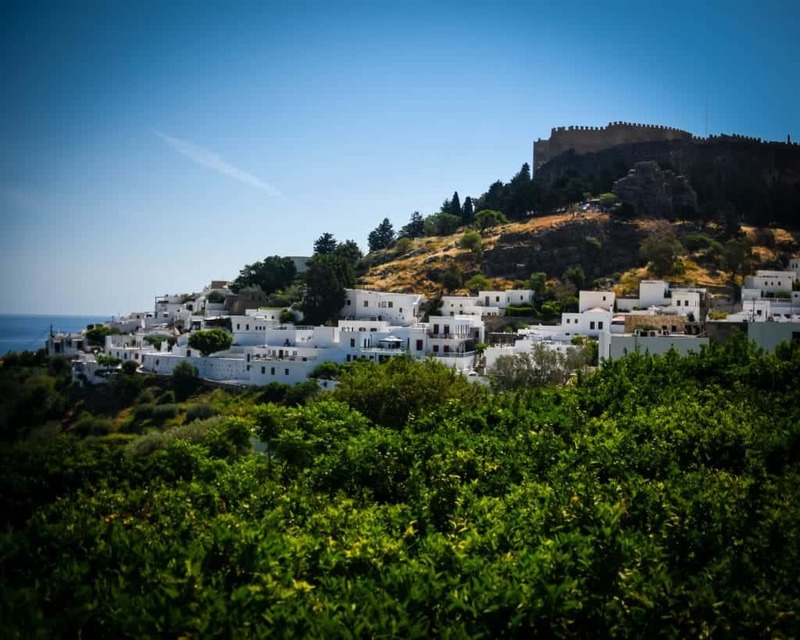 While most people looking for this kind of traditional Greek architecture head to Santorini, Lindos on Rhodes is a much more affordable (and less crowded) option. This is a popular wedding destination for English brides looking to get married in the Greek Isles. 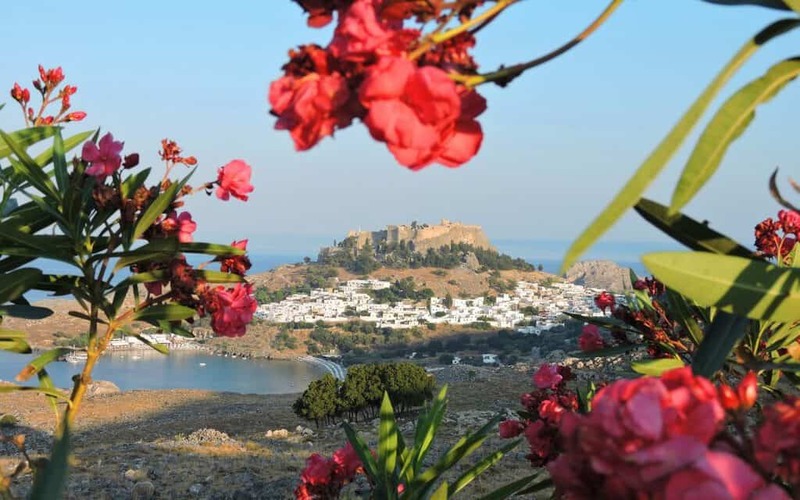 Even if you base yourself in the capital, a visit to Lindos is one of our favorite things to do in Rhodes. 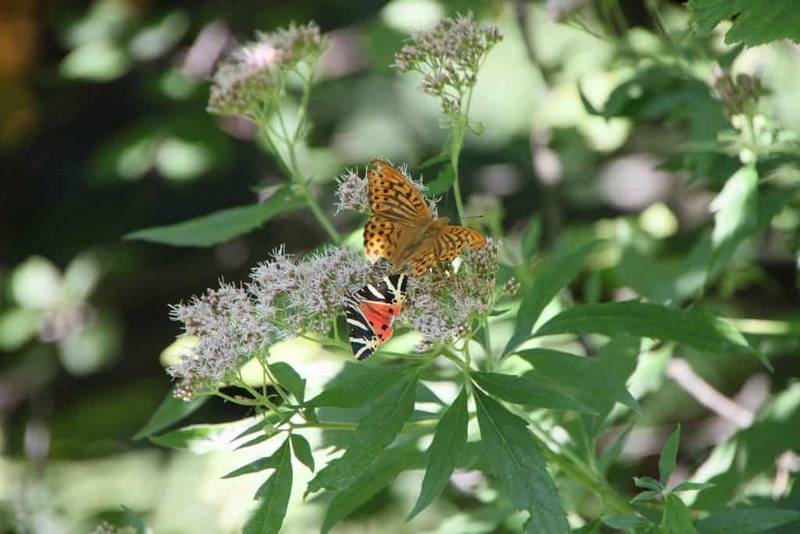 Rhodes’ Valley of the Butterflies, called Petaloúdes in Greek, is the resting place for the Jersey Tiger Moth, a bright orange and black beauty that comes to this shaded green valley every year in late May. A visit here is a highlight for nature lovers and families traveling with children. You can enjoy the valley and then take a walk to the monastery at the top or go to the Museum of Natural History. Whatever you do, try to stay quiet and calm so that you won’t disturb the butterflies! 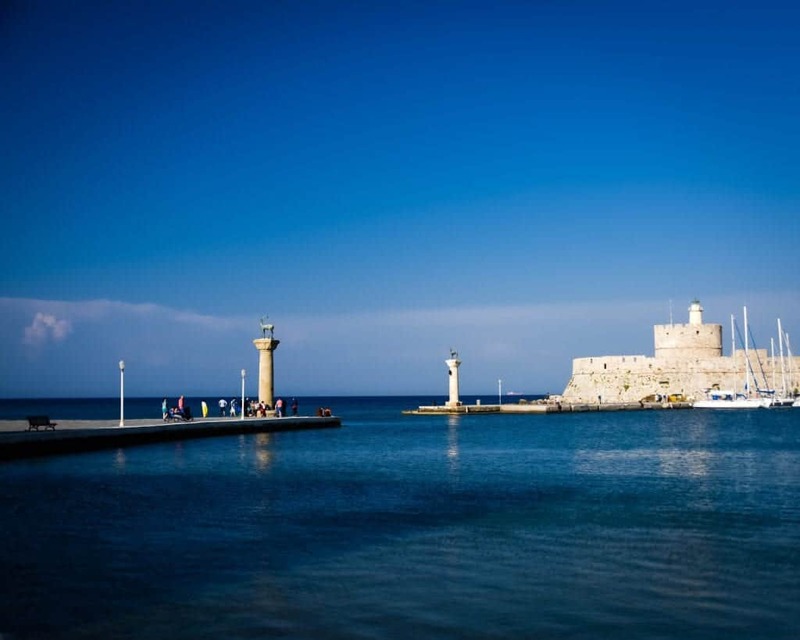 While the Colossus of Rhodes may no longer be standing, you can still visit the spot where it once stood and earned its place on the list of the Seven Wonders of the Ancient World. Reaching over a hundred feet high and made of bronze, the statue of the sun god Helios stood beside the entrance to Mandrákion harbor. The purpose of the statue was to intimidate visitors and glorify the island. The statue fell during an earthquake, but its legends and impact have lasted to this day. To see its influence, you need only watch an episode of Game of Thrones, where the statue inspired the Titan statue in Braavos. I have spent many relaxing days on the beaches of both islands, so I’m happy to report that you really can’t go wrong with either island if your main goal is to lay on a beach chair and dip your toes in the sand while staring at beautiful, teal water. 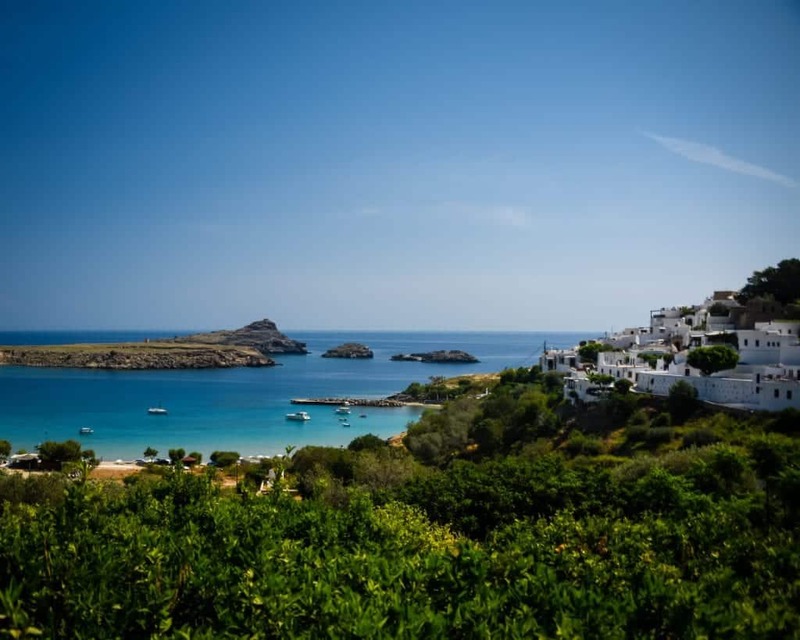 Our favorite sandy beach on Rhodes is the beach in Lindos, while the above-mentioned Seitan Limania beach is our favorite of the beaches on Crete. However, both islands are bursting with beaches to explore, both the famous and well-known and ones off the beaten path. So far I’ve mentioned the Venetians, the Egyptians, and different religious orders, but most people who come to Greece want to see a bit of ancient Greek history as well. 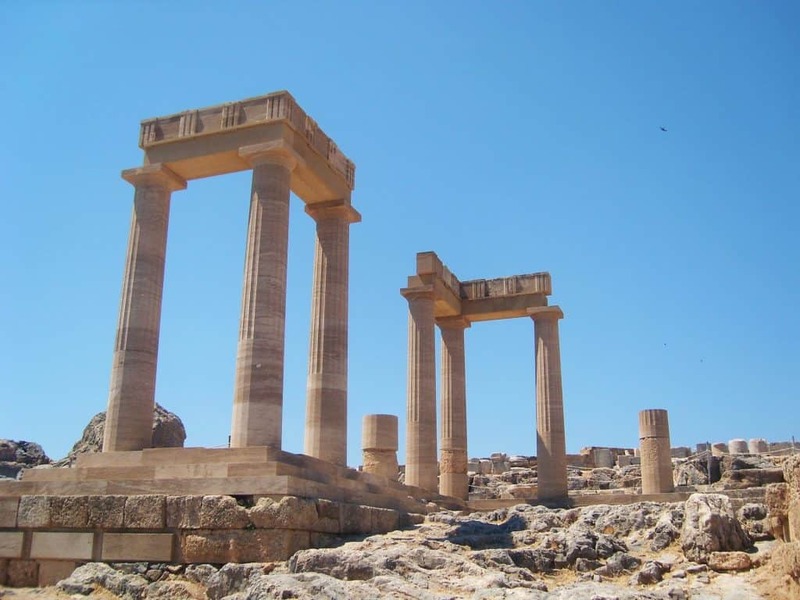 Crete boasts Minoan palaces, like the Palace of Knossos, while the ancient Acropolis of Lindos and its Temple of Athena Lindia is one of the highlights of any trip to Rhodes. If this will be your first trip to an Orthodox nation, I highly recommend you visit an Orthodox monastery or two. We are absolutely obsessed with them since there’s really nowhere as beautiful as a Greek or Bulgarian Orthodox Monastery, but you must see for yourself. On Rhodes, stop by Our Lady Tsambika Monastery, Filerimos, or the Holy Monastery of Panagia Ipseni. 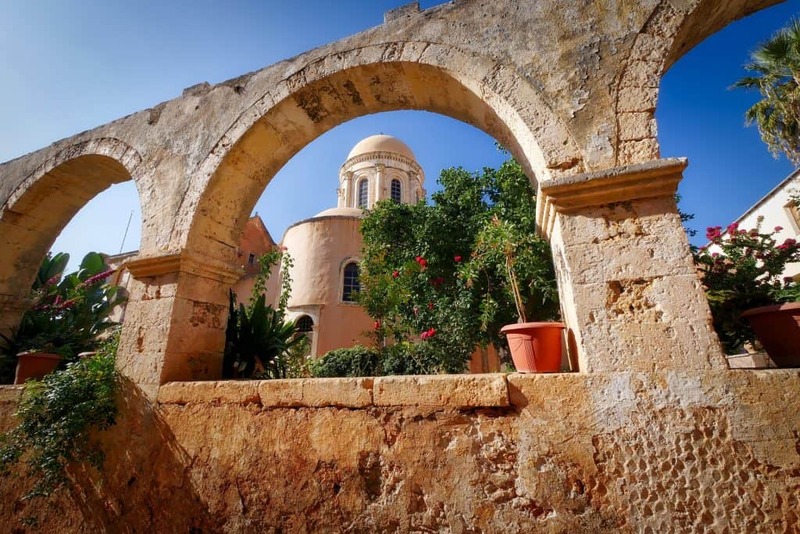 If you choose Crete, visit Arkadi Monastery or Toplou, although there are many on the island to choose from. If you’re planning a romantic getaway, you’ll find both islands will fit the bill. You can look for resorts or beautiful seaside hotels. For the most romantic spot in Rhodes, choose to stay in beautiful Lindos, while I recommend a stay in Chania or a nearby villa for a romantic time on Crete. Whichever Island You Pick, Don’t Leave without Travel Insurance! Finally, make sure you always travel to Greece or anywhere in Europe with a valid travel insurance policy. 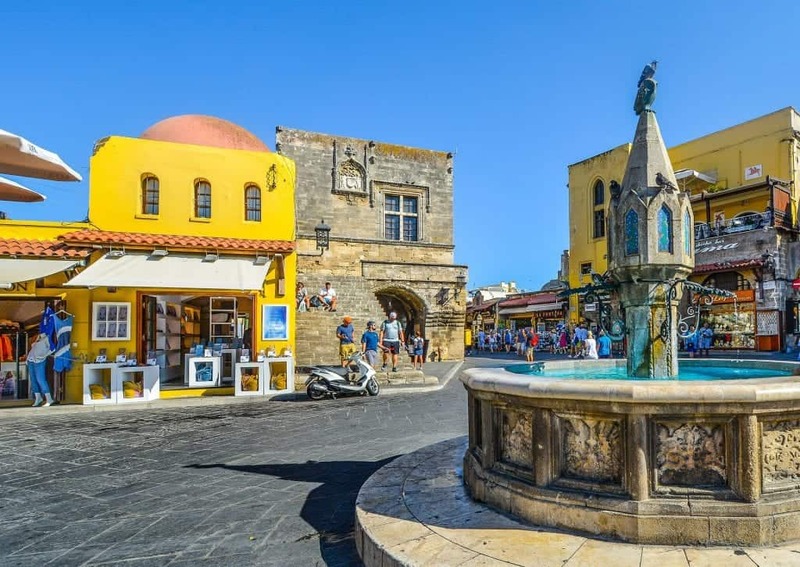 Both Crete and Rhodes are very safe places to travel, but accidents or theft can easily ruin your trip if you don’t have the travel insurance coverage to recover the losses. Recently my aunt fell on a train in France and needed surgery, but luckily her travel insurance covered the costs in full. Thank goodness! How did you decide whether to travel to Crete or Rhodes? Are you planning an upcoming trip and deciding which island to visit? Leave your best Greek island travel tips and questions below!